THE CABOT GROUP has been contracted by The Pike Development Company to act as the exclusive leasing agent for 30,000 s/f of class A office space on the top floor of the Seneca Building at the Midtown Rising site. 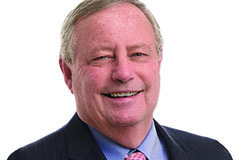 "As a diversified commercial real estate advisory and services firm born in this city, it is always a goal of ours to do everything within our grasp to enable upward growth, economic development and overall prosperity within our community," said J. Michael Smith, chairman and CEO of THE CABOT GROUP. "We understand how important a revitalized midtown is to the growth of our city, and we look forward to playing a role in that revitalization." The 8-10-year development plan, which has created hundreds of local construction jobs, is expected to reach completion late this summer. "One of the most satisfying aspects of being involved with a project of this magnitude is acknowledging the potential it has to create a reinvigorated sense of hope and prosperity, along with numerous employment opportunities, for our people not only upon completion, but throughout the entire redevelopment process," Smith said.